As more companies embark on Internet marketing, the space becomes increasingly crowded. Marketers are challenged to find new ways of increasing demographic targeting, engagement times and conversion rates. The use of online marketing video is gaining popularity in this regard. Video marketing presents a range of technical and content challenges that influence widespread adoption. Online marketing videos are a complex, multidiscipline art and extracting the best results is not as simple or clear-cut exercise. Having said that, online marketing videos can be key business differentiators for companies wanting to effectively communicate their products or services and benefits. In addition to stunning, functional web design and excellent SEO, online videos can both engage users while contributing to your Internet marketing efforts. As with traditional (SEO) search engine optimization, marketing videos have literally seconds to capture and engage the interest of the visitor. 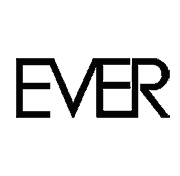 At EVER we believe in staying ahead of the pack. Online marketing videos, and video content in general, may in the future outpace text base content and advertising. What is evident today, considering both the evolving high-speed connections and lower rates, is online video is here to stay. Users love video content, so here are some stats that might convince you that video marketing is good choice to expand your customer base. Speak to an Internet marketing consultant to find out how Internet marketing videos can help sell your product, service or company.